The Standing Committee on Personnel, Public Grievances, Law and Justice has reportedly decided to look into the inordinate delay in appointments being made to the Supreme Court and to various High Courts of the country. The process would include the Law Ministry presenting its position on the issue before the Parliamentary panel. Besides, the Panel has decided to examine the functioning of the Central Bureau of Investigation, as well as look into the appraisal of civil servants under the Central Government. The CJI had defended the Judiciary and claimed that approvals for 169 recommendations were still pending with the Government. He had pointed out that in 1987, the Law Commission of India had opined that there should be 50 Judges per 10 lakh people in the country. He however lamented the passivity of the successive Governments on the issue. “No point of Make in India or FDI, if judiciary can’t function without efficiency, it is important to have more Judges (sic),” the CJI had remarked. You may read the LiveLaw article here. 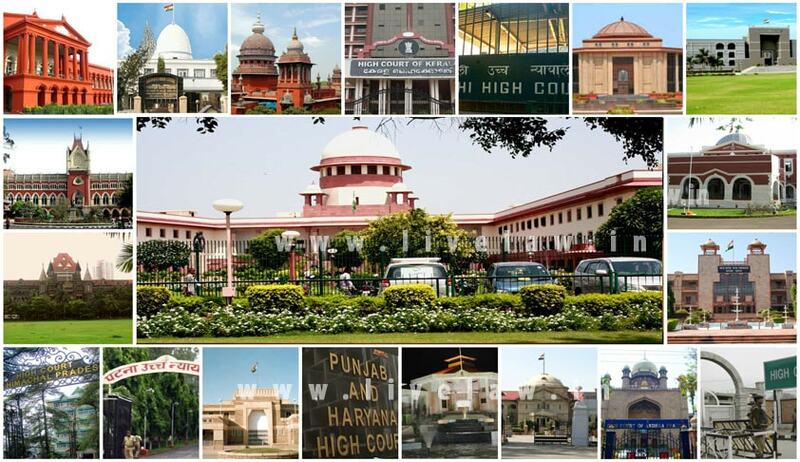 “The collegium has cleared 75 names of high court judges (for transfer/ appointment) but they have not been approved. I don’t know why, where these files are stuck,” a three-judge Bench headed by Chief Justice T.S. Thakur had commented, while hearing a PIL filed by 1971 war veteran Lieutenant Colonel Anil Kabotra on the issue. You may read the LiveLaw article here.